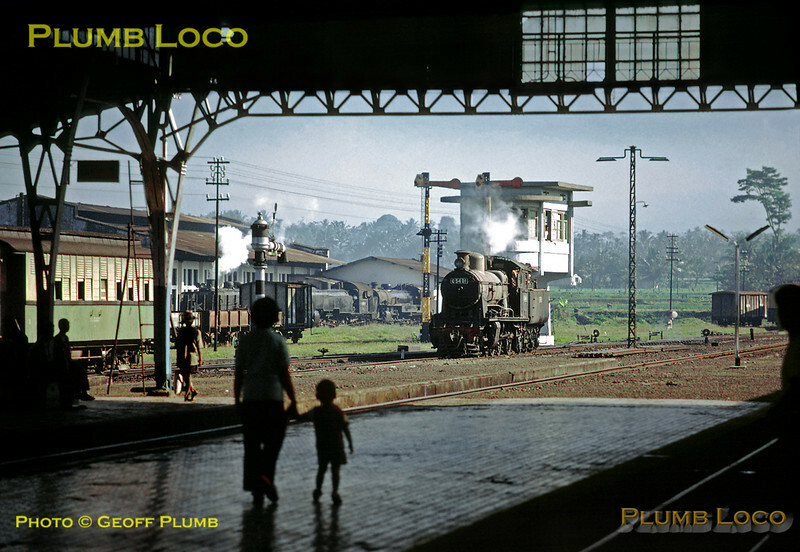 On the platform at Purwokerto station a small boy and his mother watch 4-6-0 C54 01 doing some shunting around the station area, in front of the 1930s style signalbox. The engine was built by Hartmann in 1922, works No. 4429. It was one of 19 locos in the class, 13 built by Hartmann and 6 by Beyer, Peacock, all in 1922. Various other engines can be seen at the loco depot alongside the station. Saturday 21st July 1973. Slide No. 11475.